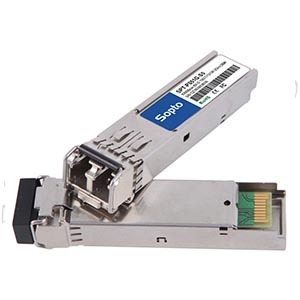 The high return loss and low cost solution for 100G fiber optic module. In the fiber optic transmission system, the higher data rate, the more link noise bandwidth, the larger the noise power, the lower the signal to noise ratio, and the higher bit error rate. Therefore, for the 10G LTE fiber optic transceiver, in order to ensure the reliability and the stability of the spectrum and power of the emission light source, it is necessary to design a high return loss on the receiver to reduce the possible link reflex as far as possible. Although the conventional receiving module is able to protect the light sources with the optical isolator at the transmitter, the reflection effect on the system caused by the return loss still exists. At the same time, the price of the isolator is much more expensive than the fiber pin of the high-return loss solution. Despite facing increasingly fierce price competition and cost pressures, we adhere to the principles of high-performance to research and develop our fiber optic modules and to provide customers with cost-effective fiber optic modules.